Classic, timeless, sophisticated, and no we aren’t just talking about the groom. Our men’s designer 6mm traditional domed polished finish 14k yellow gold wedding band offers all of that and more with our affordable prices and high-quality metals. Yellow gold has been a classic in the men’s jewelry scene for years, and for good reason. It holds up to everyday life, and it offers a luster and that classic look that wedding rings are known for. This ring is the best way to symbolize your everlasting commitment. 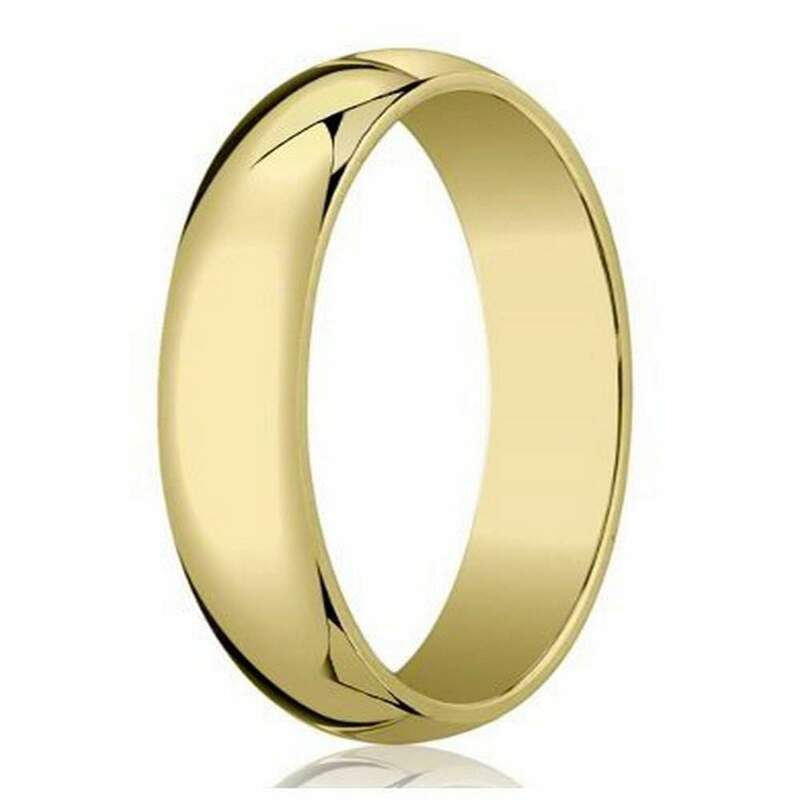 Like all of our pieces, our men’s designer 6mm traditional domed polished finish 14k yellow gold wedding band comes with the option of a custom engraving of up to 30 characters including spaces. This gives you the option to make this ring even more special for you. Add a song lyric or the date of your marriage to help commemorate the memories forever, and make your ring even more unique. We offer a variety of sizes, so you’re sure to find the right fit. The ring was absolutely worth the money. It had weight to it and was exactly as described. The engraving is the BEST I've seen yet. I would definitely recommend this site to friends and family.